November has been an emotional roller coaster. In fact, the week after hearing about our fertility results was the hardest week since my initial diagnosis. A couple of weeks ago I fought a battle so strong that I was left with emotional gashes so deep, I wasn’t sure I would recover. This battle was fear. Debilitating fear. Satan is powerful, and he takes advantage of us when we are vulnerable; Therefore, we must be active in strengthening our spiritual weapons. No matter how hard I prayed, I could not shake the doubt and fear. Sometimes, you must rally up your prayer warriors alongside you and allow them to call out to God on your behalf. The following Sunday after that brutal week, a few of my dear friends, mentors, and prayer soldiers gathered by my side and did just that. They prayed for me. They rebuked the enemy and his stronghold. They prayed to Jesus that His mighty hand would wipe away any doubt and fear. They prayed blessings over my life. And you know what? God showed up. He did His part. He answered our prayers. The following week was drastically different. My spiritual weapons had been sharpened and I was ready, willing, able, and strong enough to fight. That next week through this very moment, I am strong and will not allow the enemy to win. I have also discovered a book that has been life-changing for me. I highly recommend it to anyone, including cancer patients, those afflicted with depression, or chronic downers. 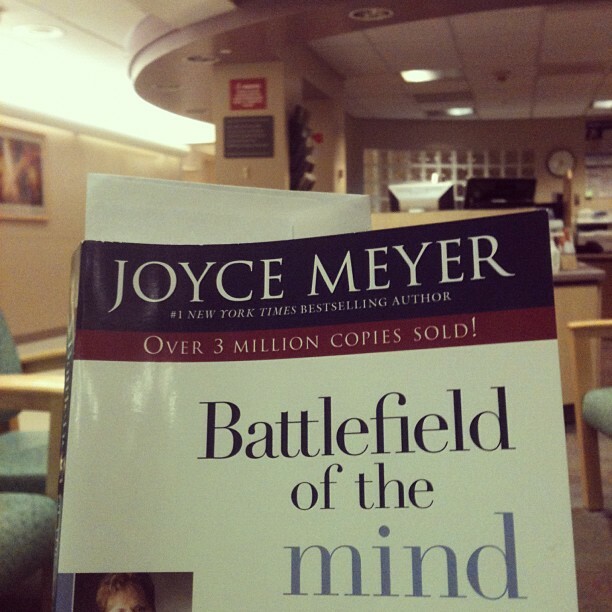 It’s called “Battlefield of the Mind” by Joyce Meyer. It’s seriously amazing. Believe it. 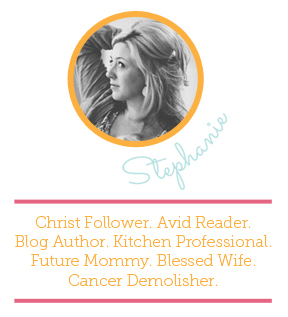 Here’s some truth: I am not afraid. I am not alone. And, with God, I am victorious. As God showed Himself two weeks ago…He is the same today. Very well stated…I love you and you are in our prayers daily. We’re in the battle with you, on your side, and praising God for victory. I love you, dearest daughter.